Somerset’s largest city, Bath, is replete with the kind of commercial art galleries that welcome traditional sculpture and painting. But the city that built its reputation on becoming a museum – Bath was given UNESCO World Heritage Status in 1987 – is not without its artist-led organisations. Hidden in plain sight in the city centre is 44AD, a gallery and studios located within a Georgian townhouse offering regular exhibiting opportunities and occasional artist talks. In Bath, though, life for non-profit organisations is tenuous, and since successfully petitioning the council against repurposing the property for a more lucrative revenue source in 2016, 44AD now relies on a yearly rolling tenancy, a situation that’s far from ideal for any organisation seeking to make long-term plans. 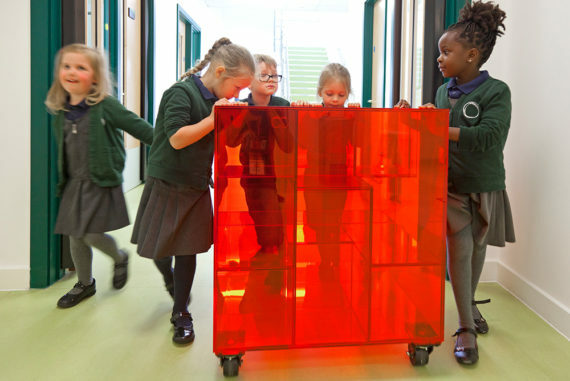 In 2017 Edge Arts – the gallery space at the University of Bath – hosted ‘The Brutalist Playground’, an exhibition of reimagined playground structures from Brutalist housing developments of the 1960s, by Simon Terrill and 2015 Turner Prize winners Assemble. 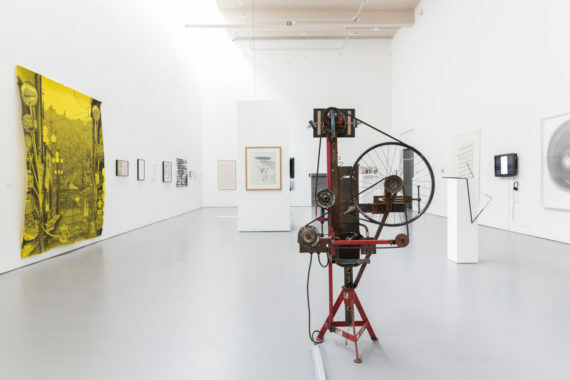 The space is currently staging a touring leg of the Jerwood Drawing Prize, which is in its final year under the auspices of the Jerwood Charitable Foundation before being handed over to Bath Spa University, home to the Bath School of Art and Design. For 17 days in late May and early June, Bath’s arts venues synchronise their programmes to produce the biggest event in the city’s cultural calendar, the Bath Fringe Festival. 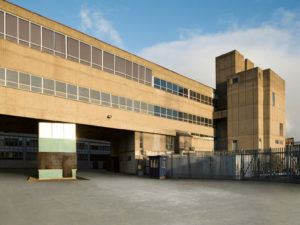 Fringe Arts Bath is responsible for the contemporary art element of the festival, offering an interesting range of commissioned exhibitions and open calls. In the past some funding for the festival has come from Arts Council England or the National Lottery, but in 2018 both are absent. The council completely withdrew its support years ago, resulting in the far from ideal scenario of exhibiting artists, curators and performers having to self-fund the festival through a combination of commercial sponsorship and artists paying a charge to take part. Situated in the north east of Somerset, the market town Frome has emerged as a creative hub for artistic practitioners from the region. On the first Sunday of every month the town closes its roads for The Frome Independent market, which over the past four years has grown to become a major tourism and economic event for the town. The market is produced and managed by Foreground, a visual arts commissioning organisation whose mission is to bring contemporary art to audiences outside the gallery context. Since it was founded in 2007 by Simon Morrissey and Tabitha Clayson, it has been responsible for numerous permanent and temporary installations around the South West as well as events in Frome and beyond. Foreground has also worked with primary schools in Bristol, and most recently devised and curated We The People Are The Work, a major visual arts project that launched as part of Plymouth’s 2017 Art Weekender, and whose hand-painted cardboard placards are still popping up in the social media feeds of anyone remotely connected to the art scene on the South West coast. If you head a little further south into the county you’ll find Bruton, home of the most recent addition to the galleries of art world stalwarts Hauser & Wirth. Phyllida Barlow, Jenny Holzer, and Martin Creed have all been given solo shows at the converted Durslade Farm and outbuildings since it opened its doors in 2014. But there is more to Hauser & Wirth Somerset than a trendy rural branch of an international art gallery. 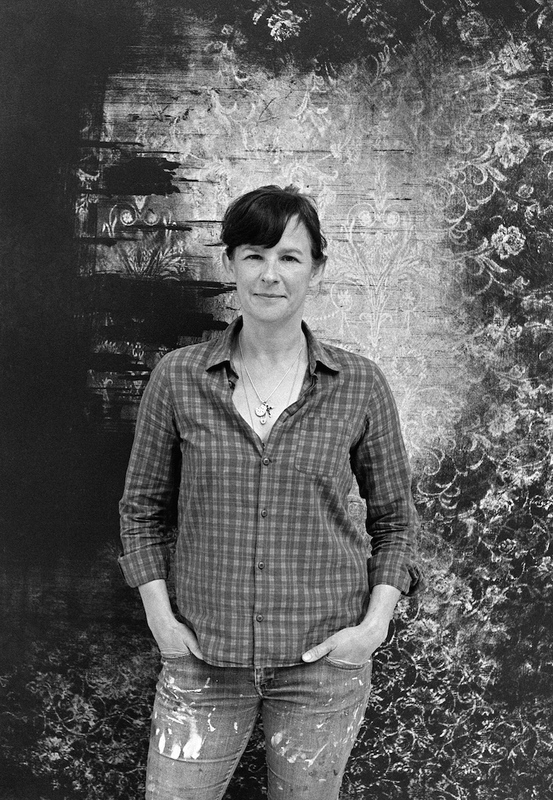 From its cultural island on the sleepy River Brue, it reaches out to its neighbours by way of Debbie Hillyerd’s impressive educational directorship, which includes a series of artist and curator-led talks and seminars, school visits with in-depth teachers’ notes, and free monthly family-friendly workshops. The gallery is also a sometime corporate patron of Foreground and in 2014 commissioned Simon Morrissey to curate ‘Qwaypurlake’, a group show that brought together local and international artists to reflect on the changing ecological landscape of rural Somerset. 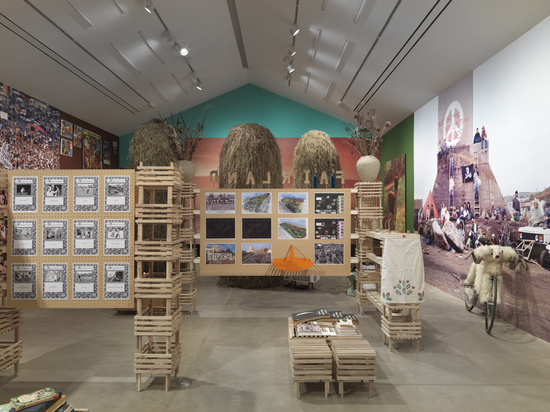 The Hauser & Wirth educational programme is also praised by Simon Lee Dicker, founding director of OSR Projects, who mentions Hillyerd’s generous provision of her time and expertise in helping them deliver educational elements of a 2017 project at Dawe’s Twineworks in West Coker. This turned out to be a reciprocal arrangement as Ross Aitken of the Twineworks has a role in the current programme of events at Hauser & Wirth. OSR was established by Dicker on the southern edge of Somerset in 2011. 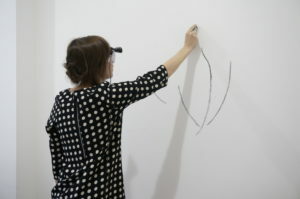 It provides its own steady stream of opportunities for artists, curators, and writers, and has the express intention of connecting people through contemporary art. Such opportunities are essential in retaining the region’s emerging talent. Indeed, when Dicker himself moved to Somerset in 2004 his first public work was commissioned by Somerset Art Works (SAW), Somerset’s only countywide visual arts organisation. SAW offers multiple annual ‘Creative Pathways’ bursaries that provide studio space to an emerging artist, along with financial support and a relevant mentor. Somerset’s north west coast is the region’s most isolated and economically deprived area. 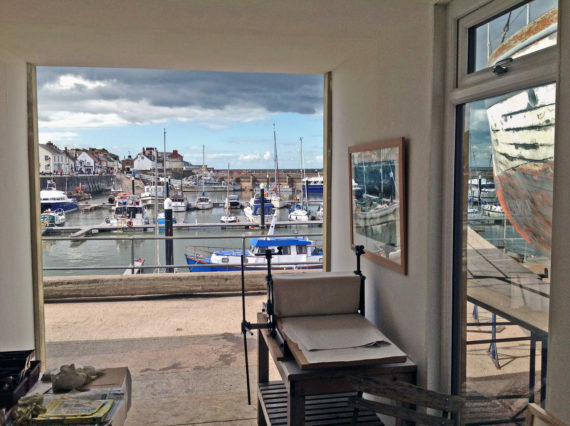 It is here, in the harbour town of Watchet, that you will find Contains Art, a not-for-profit social enterprise with an emphasis on visual art. 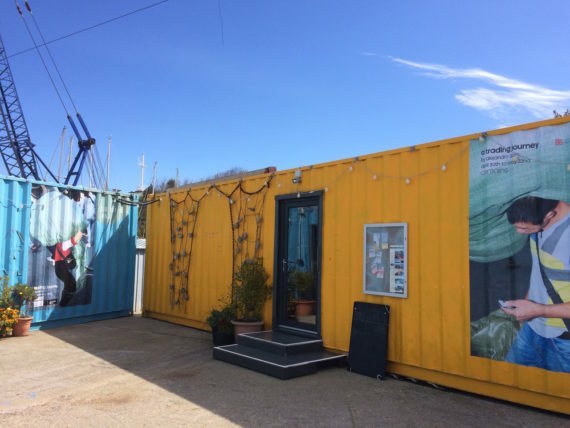 Established in 2013 with the principle that a person’s location and social background should not impinge on their access to art and arts opportunities, it is comprised of three sea containers, converted by volunteers into a gallery space and four studios. Last year Contains Art hosted a Hayward Gallery touring exhibition of Matisse’s cut-outs, and planning has recently been granted for a major expansion of the premises. The word ‘scene’ may be a bit of a stretch for Somerset, but it’s clear that the lines of communication between these disparate pockets of artist-led activity are open and active. While each organisation has its own identity and ethos, there are common themes that run through all of them, such as a commitment to investing in young people and the region’s emerging artists, and taking art out of the gallery into public spaces. The majority of Somerset will remain remote and rural for generations to come, and it is no surprise that Contains Art, Foreground, and OSR Projects must reach out to other regional, national, and international artist-run groups in order to develop their supportive networks to, as Simon Lee Dicker puts it, “create and maintain a scene built on common interests, rather than one that is bound by the arbitrary lines of a county map”. A one-day seminar bringing artists, curators and cultural producers together in rural Somerset to consider: What does it mean to be artist-led? Is there an alternative to a global gallery system? How do you build your own art world? Friday 16 March, 10.30am-4.30pm, OSR Project Space, Church Street, West Coker, Yeovil BA22 9BD. A range of opportunities for emerging and established artists to exhibit in a vibrant city centre art festival, including the Bath Open Art Prize, hosted by 44AD. FAB festival, 25 May-10 June 2018, various venues, Bath. Curated by Grizedale Arts’ director Adam Sutherland, the current exhibition at Durslade Farm explores ‘the contradictory nature of society’s relationship to the rural’ and features work by over 100 international practitioners past and present, including Paul McCarthy, Beatrix Potter, Carsten Höller, Laure Prouvost, William Holman Hunt, Frank Lloyd Wright, Mark Dion and Roni Horn. The exhibition is complemented by an extensive range of demonstrations, workshops and other events. Until 7 May 2018, Hauser & Wirth Somerset, Dropping Lane, Bruton, Somerset BA10 0NL. Bursaries for three Somerset-based artists in the early stages of their career to demonstrate their developing practices and engage audiences during Somerset Open Studios Event (15-30 September 2018) in their chosen location/venue.